Raccoon Mountain Caverns is one of Chattanooga, Tennessee’s largest attractions. The caverns were discovered in 1931 and the accompanying campground opened in the late 1970s. Today, Raccoon Mountain Caverns and Campground offers RVers a great venue to camp while exploring this incredible natural wonder. Raccoon Mountain Campground features 157 sites, 52 with full hookups. Additional amenities include showers, restrooms, a camp store, laundry facilities, a dump station, and recreational trails. 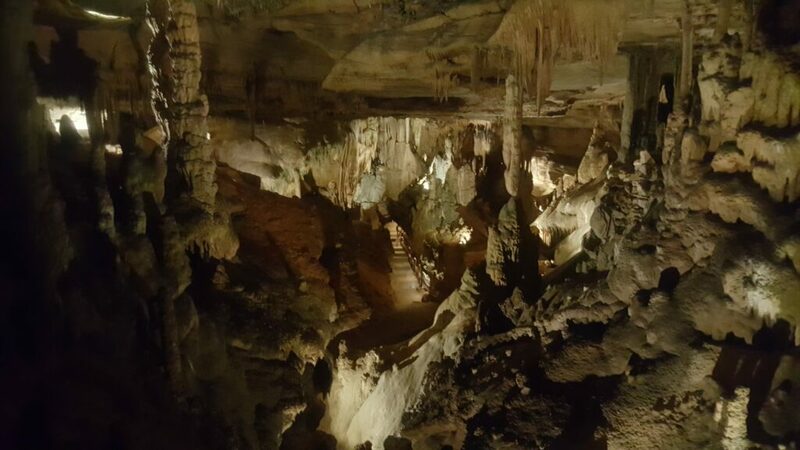 Consisting of more than 5.5 miles of underground passageways, Raccoon Mountain Caverns offers guided tours for close-up views of thousands of diverse formations with names like stalactites, stalagmites, delicate soda straws, and flowstone. There are even natural bridges, courtesy of Mother Nature. Visitors can enjoy a 45-55 minute Crystal Palace guided walking tour that takes you through the first half-mile of the cave. The Wild Cave Expeditions are for the more adventuresome and range from two to five hours in length. A few miles down the road you’ll find Moccasin Bend Golf Course. The 18-hole, par 72 course measures 6,469 yards from the longest tees. Opened in 1966, this well-manicured course features the Tennessee River as a water hazard on several holes. The city of Chattanooga has a rich Civil War history, which can be explored by visiting the Chickamauga and Chattanooga National Military Park. Other attractions to consider include the Tennessee Aquarium, Hunter Art Museum, the Chattanooga Choo Choo, and strolling along the Riverwalk. For more information about the area, visit Chattanooga Fun. 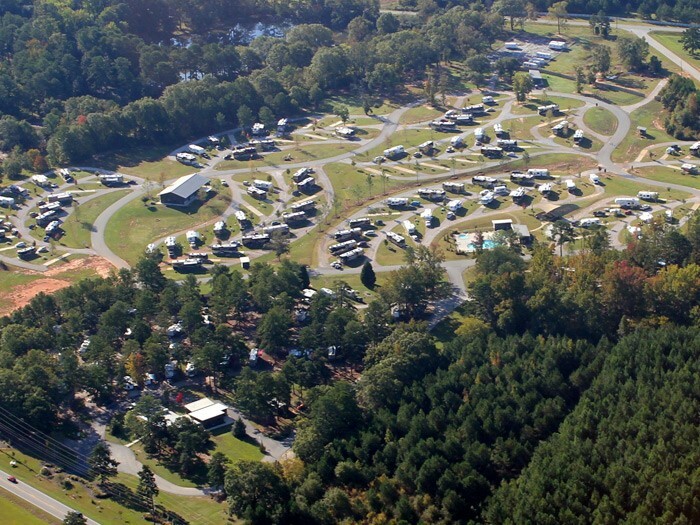 You can also learn more about Raccoon Mountain RV Park & Campground on Campground Reviews.